Chapel of San Antonia Panzacola (Capilla de San Antonia Panzacola). 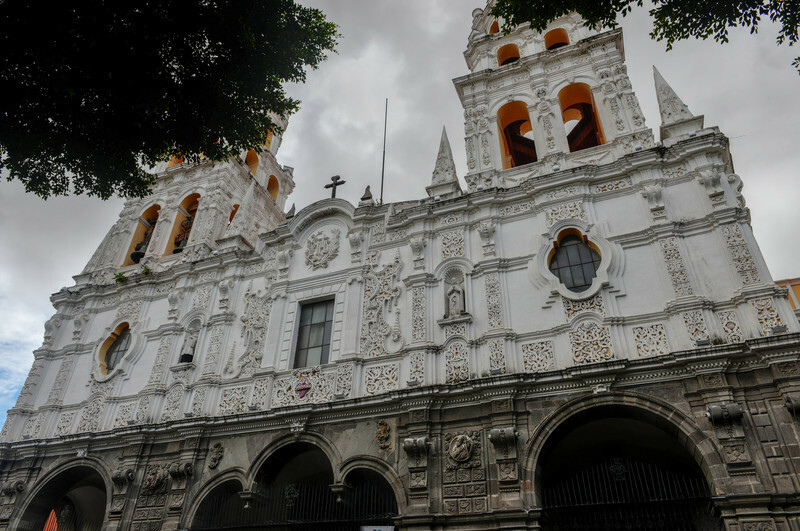 A historic national monument in the Coyoacan district of Mexico City. 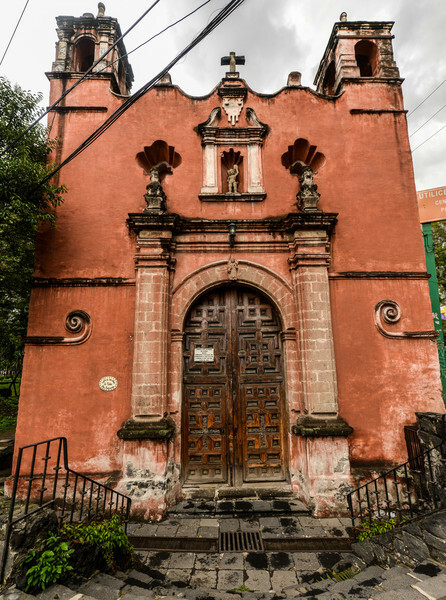 Temple of Our Lady Carmen (Templo de Nuestra Senora del Carmen). 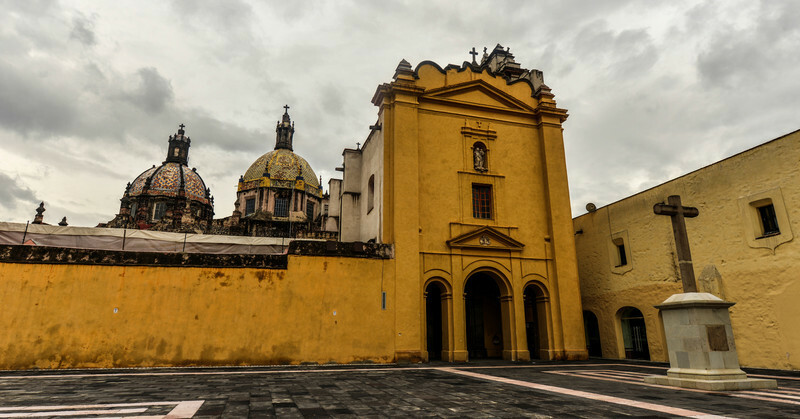 A 17th century church and a former convent in Mexico CIty. 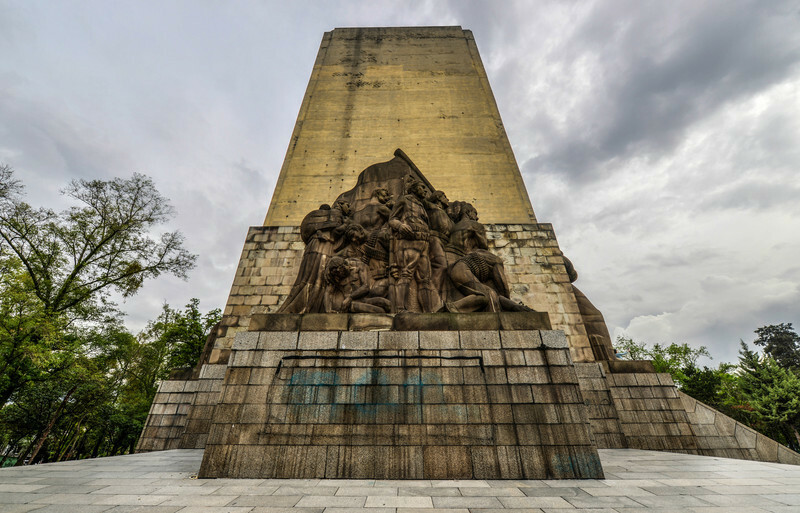 Monument to Alvaro Obregon (Monumento a Álvaro Obregón) in Parque de la Bombilla. 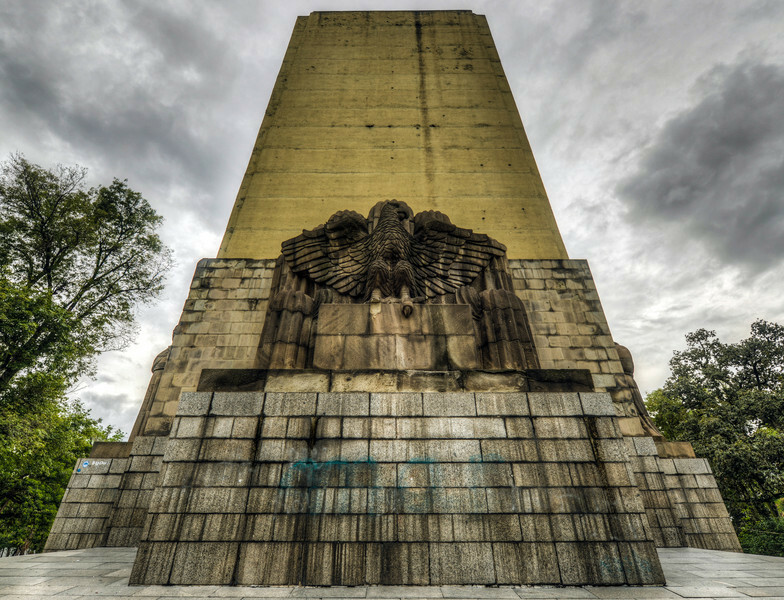 A monolithic shrine built in 1935 to the postrevolutionary Mexico president in the art deco style. 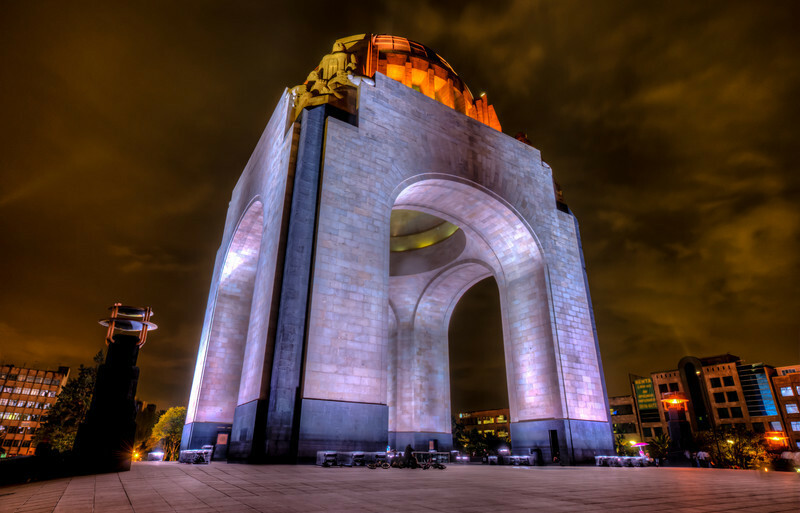 Monument to the Mexican Revolution (Monumento a la Revolución Mexicana). 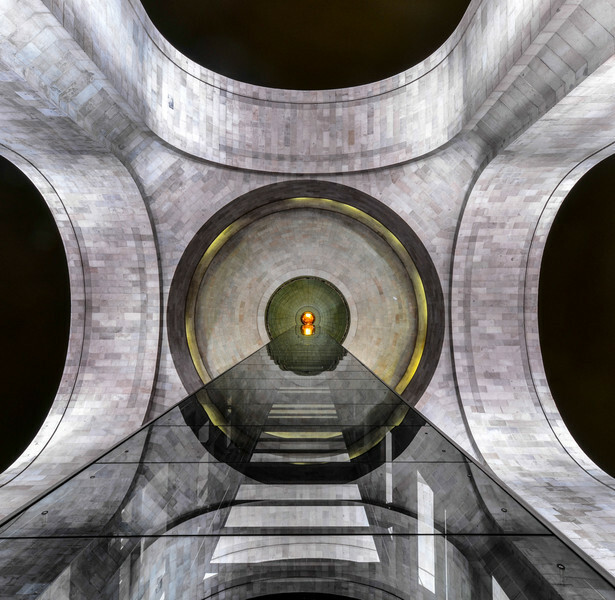 Located in Republic Square, Mexico City. Built in 1936. 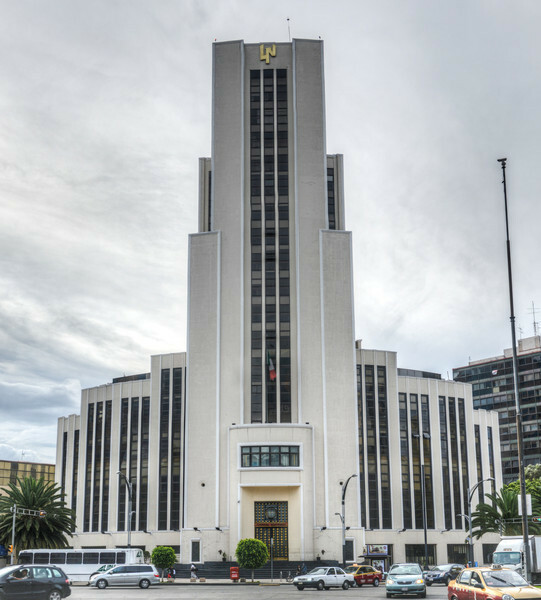 Designed in the eclectic Art Deco and Mexican socialist realism style. 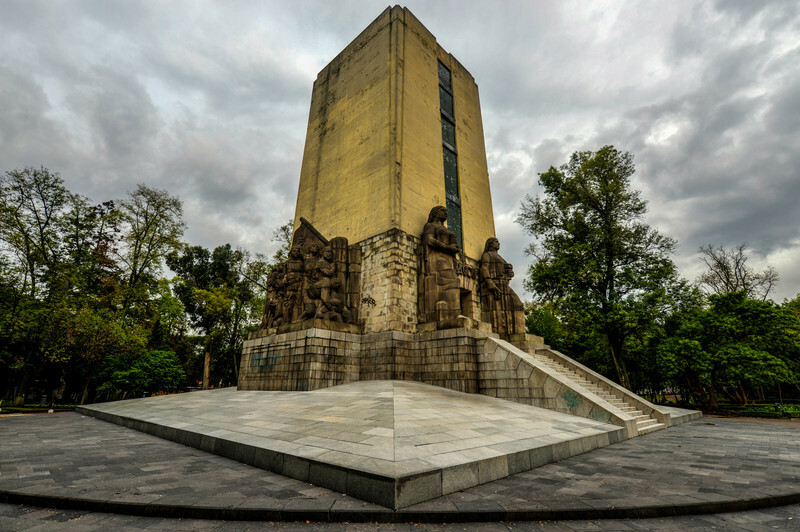 Chamber of Benito Juarez (Hemiciclo a Benito Juárez). 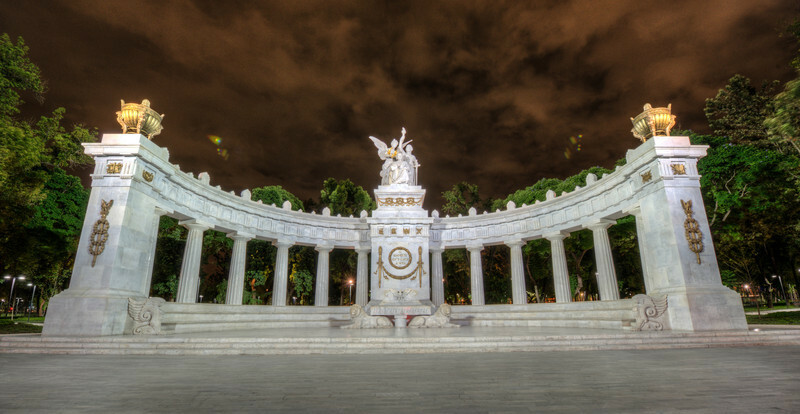 Neoclassical monument made of marble to Benito Juarez, Mexico's first indigenous president. 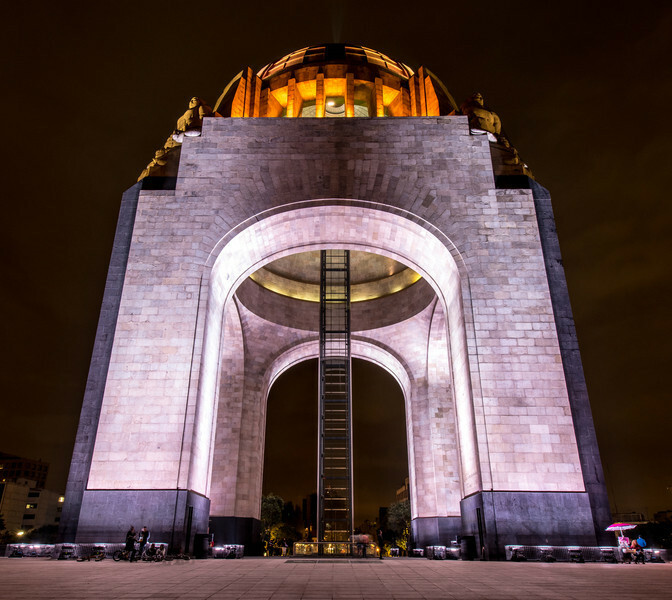 Located in the Historic Center of Mexico City. 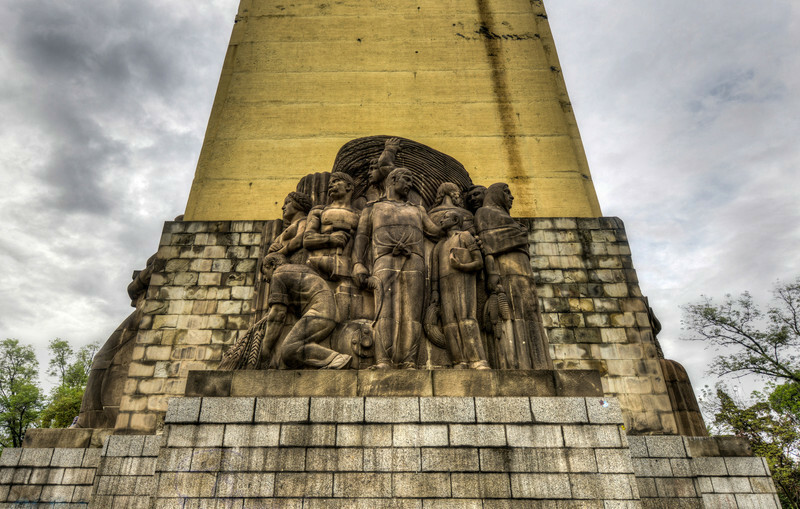 Sculptures of the Monument to the Mexican Revolution (Monumento a la Revolución Mexicana). 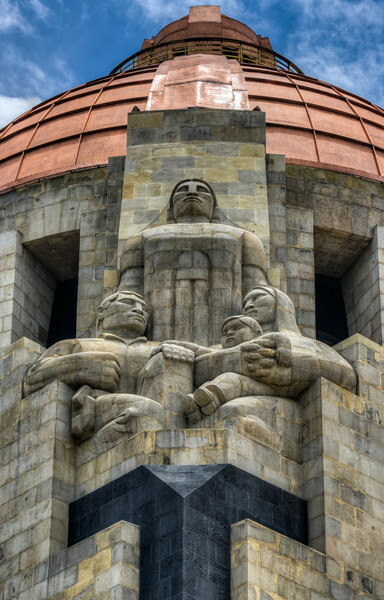 Built in Republic Square in Mexico City in 1936. Museo Diego Rivera Anahuacalli. 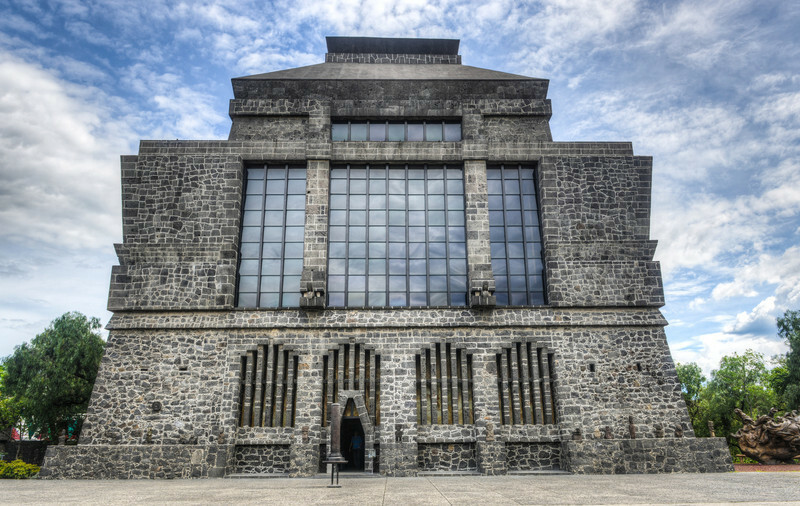 Museum created and conceived by Diego Rivera covering almost every indigenous civilization in Mexico's history. Built of black volcanic stone in the form of a pyramid. 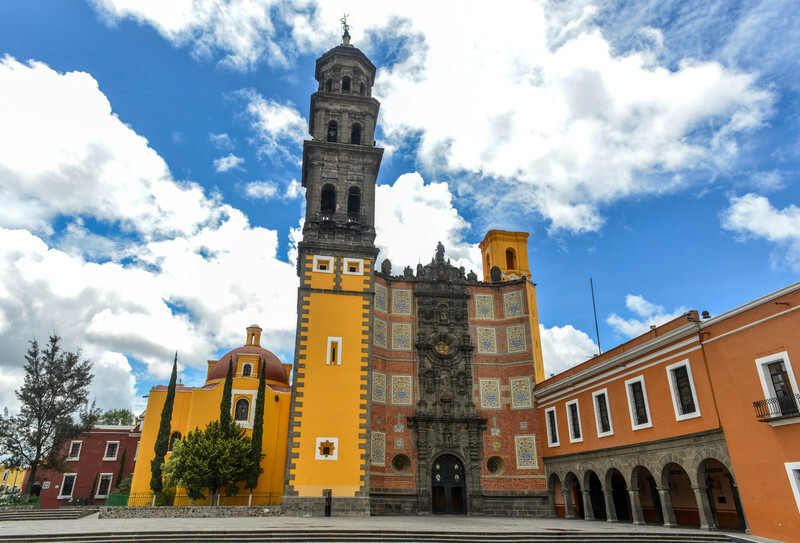 Church of San Francisco (Templo de San Francisco) of Puebla, Mexico. Built of quarry tile and brick, the temple was completed in 1767. Church of the Company (Templo de la Compañía) of Puebla, Mexico. Constructed in the 16th century. 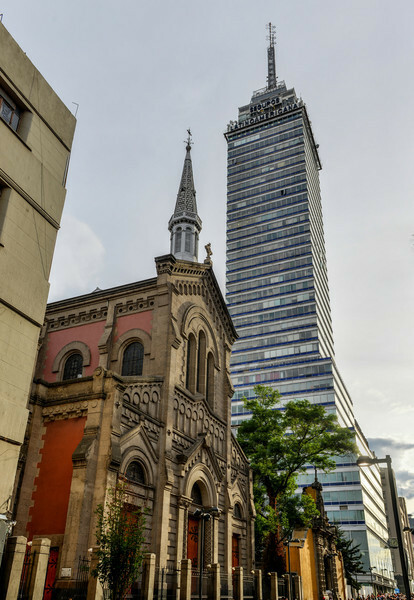 Latinoamericana Tower (Torre Latinoamericana) with the Templo Expiatorio Nacional de San Felipe de Jesús in the foreground. Near the Zocalo, in Mexico City. 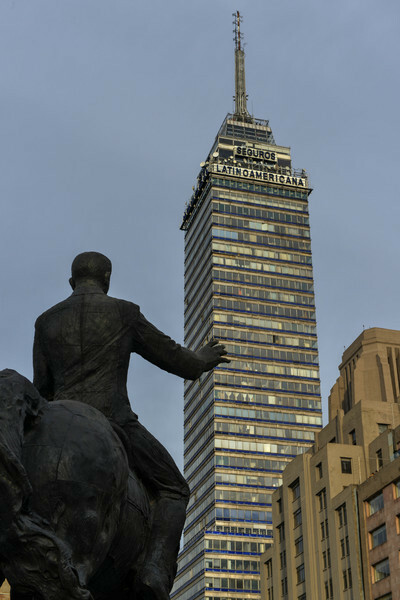 Latinoamericana Tower (Torre Latinoamericana), near the Zocalo, in Mexico City. National Lottery building (Lotería Nacional de México) located on Paseo de la Reforma in Mexico City. 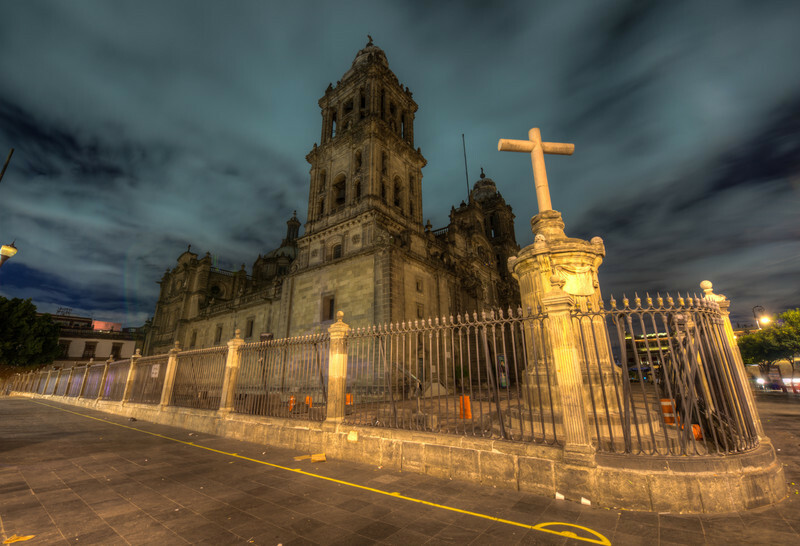 Mexico City Metropolitan Cathedral (Catedral Metropolitana de la Asuncion de Maria) at night. 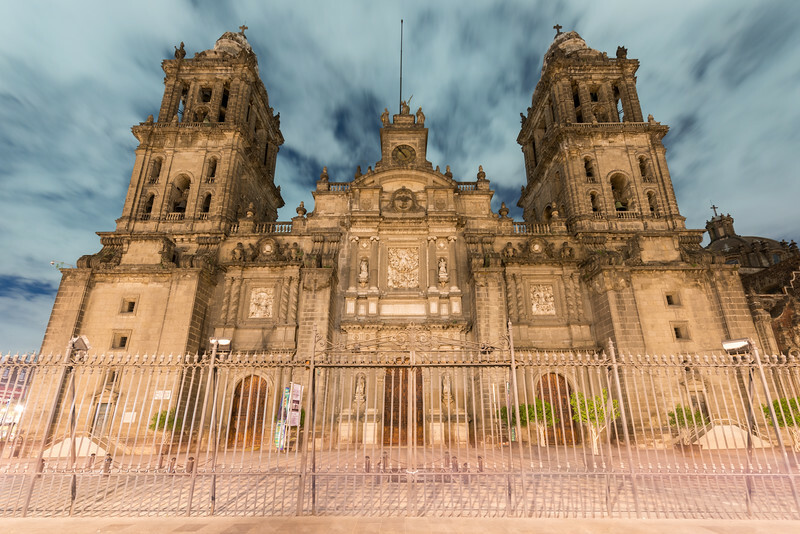 It is the largest and oldest cathedral in the Americas, built in 1573-1813. 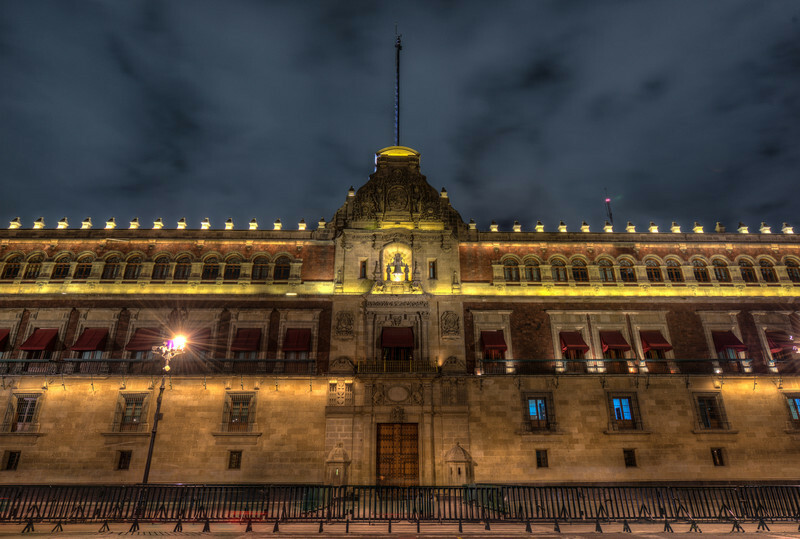 Illuminated National Palace in Plaza de la Constitucion of Mexico City at Night. 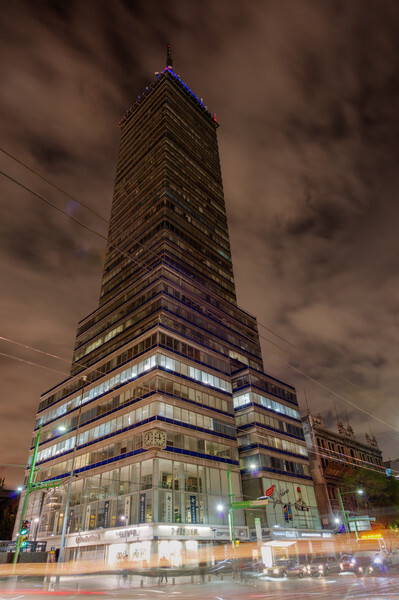 Latinoamericana Tower (Torre Latinoamericana) at night. 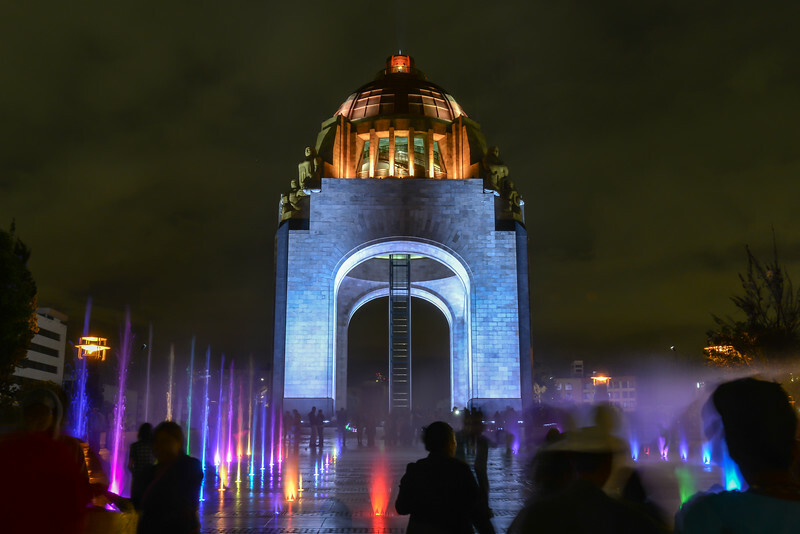 Located near the Zocalo, in Mexico City. 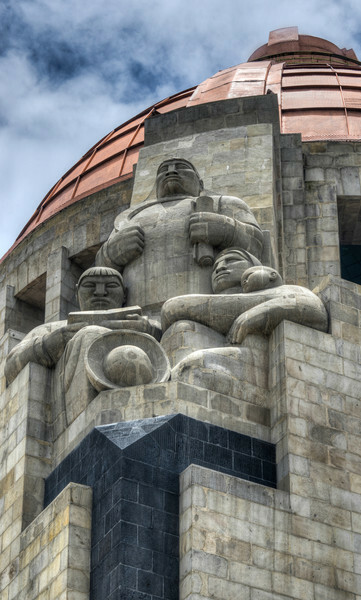 Sculpture of peasants on the Monument to the Mexican Revolution (Monumento a la Revolución Mexicana). 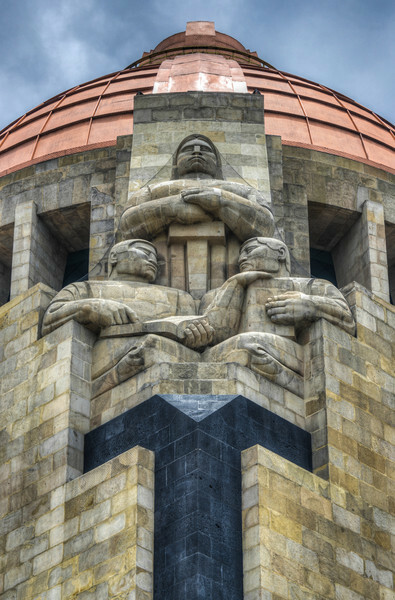 Built in Republic Square in Mexico City in 1936.